Espresso Martinis – who doesn't love 'em? – it's a pick-me-up, a party-starter, a coffee and a cocktail, all in one elegant glass. 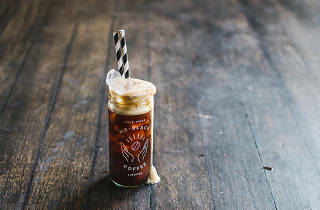 And this weekend the caffeinated cocktail will have its time in the spotlight when the Mr Black Festival of the Espresso Martini kicks off. Taking place at the Overseas Passenger Terminal's Cargo Bay, the three-day festival will celebrate the much loved espresso-fuelled cocktail with some help from Ketel One Vodka and Monin. The event sold out in minutes, but they've added one final day on Sunday May 28 with tickets setting you back $30. 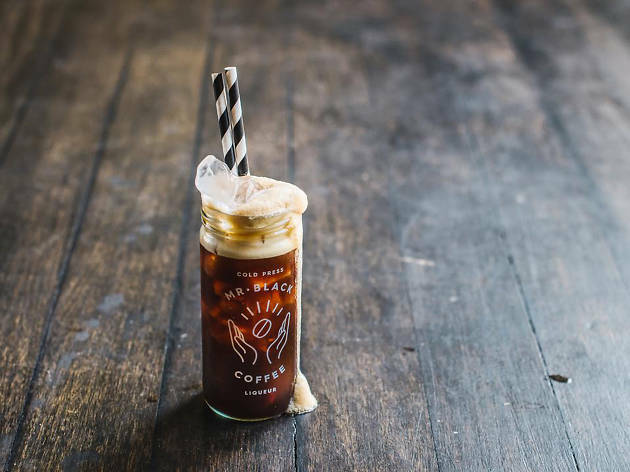 You'll get access to all the coffee fun including cold-brew and espresso-martini-at-home master classes, appearances from the country's best coffee roasters, bars and coffee shops and a Monin pop up-bar with three flavours of Espresso Martini. Soda maestros and cocktail creatives PS40 have designed the drinks menu for the festival. Mary's will be slinging burgers and Mr Bao will be dishing out karaage chicken and crackling pork belly baos, while Loving Earth chocolate and Donut Papi are on the sweet treats list. There’ll be coffee pong and live music too, and if that's not enough, the festival will also grant you access to one of the best vantage points to catch the Vivid light projections on the Opera House, which you can enjoy while sipping on an Espresso Martini, of course. Buy your tickets to the Mr Black Festival of the Espresso Martini.